The Most Recent Past Commodore is a Flag Officer and serves on the Board of Directors. His responsibilities include keeping the Club history current and leading the Commodore’s Club. Jack Gorman has been a member of yacht and sailing clubs all of his adult life. He learned to sail as a midshipman at the U.S. Naval Academy where he was a member of the sailing team. When he finished at Iowa State University, a $500 graduation present funded his first 16’ sailboat. After a 10-year career as a writer and advertising executive, he founded a boat dealership which he successful sold 16 years later. The then received an MBA, Finance, at the University of Illinois. After a 14-year financial consulting and entrepreneurial career, he retired. With his wife Nancy, he began a 3 -month, 3,500-mile voyage on their Cal 35 sailboat “Odyssey” to Bradenton via the Great Lakes, Erie Canal, Hudson River, Atlantic East Coast and around Key West. Jack and Nancy have 5 children and 9 grandchildren. 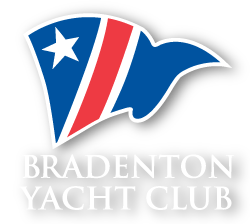 His former yacht clubs include Chicago YC and Winthrop Harbor YC (treasurer). He joined BYC in 2006 and has been a member of the Finance Committee (5 years), Director -Communications (2 years), Treasurer (3 years), Vice Commodore and Commodore.